I finished chapter eight by noon yesterday. I had my writer’s group in the afternoon. A productive and satisfying day. When I got home I could have continued editing, but I had accomplished enough for the weekend, and decided to watch a movie with my wife, SpecialK. 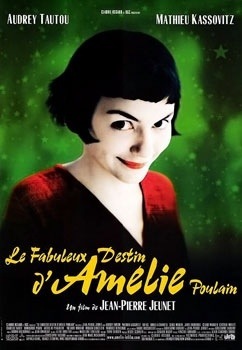 I have seen a bunch of good comments over the years about Amélie so we gave it a go via Amazon Instant Video. What an awesome quirky movie. We loved it. I have chapters nine and ten organized. I’m hoping to finish them this week.